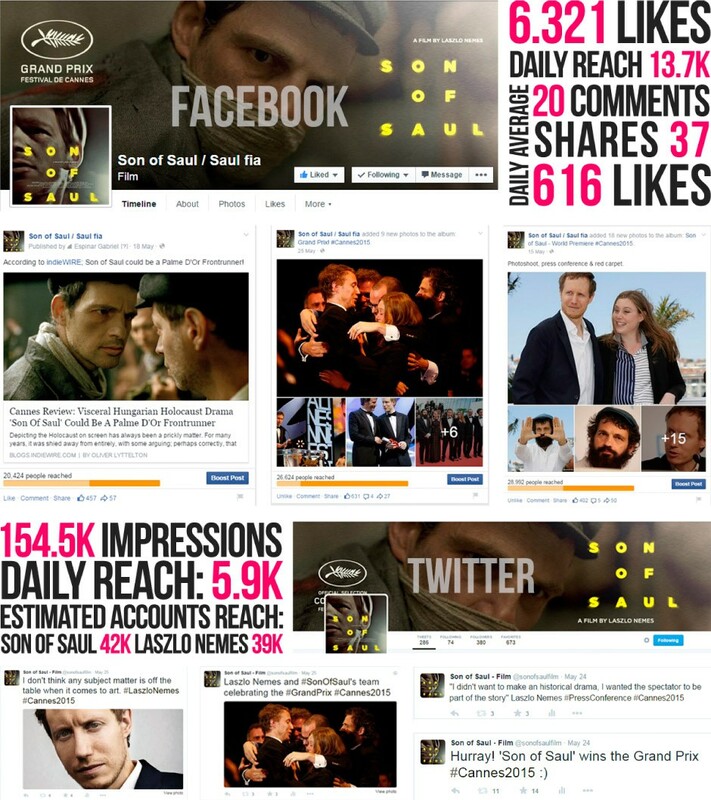 During #Cannes2015 The Film Agency was involved in the film social media campaigns of three of the most acclaimed films of the festival: Son of Saul (Prix du Jury Competition and Oscar-winner for Best Foreign Language Film) sold internationally by Films Distribution, Palm D’or Winner Apichatpong Weerasethakul Cemetery of Splendour and Afterthought sold internationally by The Match Factory. We prepared the ground before the festival with Facebook Ads and exclusive contents and then covered all the festival experience with pictures, news, interviews, reviews, backstage, from the premieres to the awards ceremony. László Nemes’ Oscar-winner for Best Foreign Language Film wasn’t just the Grand Prix, it was also one of the biggest surprises of the festival and generated highly consistent social media buzz. 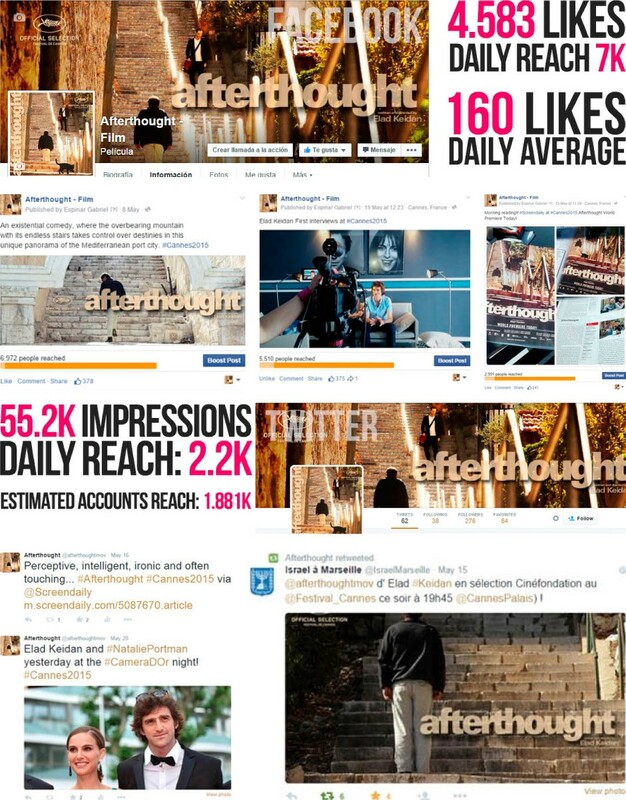 The Film Agency managed film social media during the launch of the film in Cannes in partnership with Rendez-Vous as Publicity Manager and Films Distribution as international sales agent. This was the beginning of the vertiginous rise that has rocketed the film to a place amongst the top titles of the year. 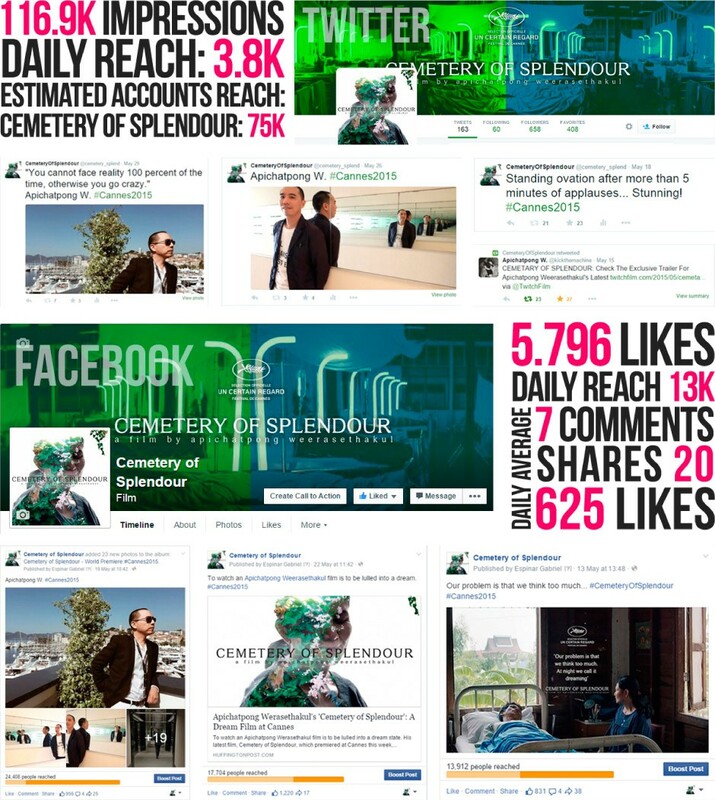 The Match Factory represented internationally Cemetery of Splendour, Apichatpong Weerasethakul’s entry in Un Certain Regard. The Palm d’Or winner for Uncle Boonmee Who Can Recall His Past Lives, develops that hazy space between reality, fantasy, dreams in a new way. A lonesome middle-aged housewife tends a soldier with sleeping sickness and falls into a hallucination that triggers strange dreams, phantoms, and romance. 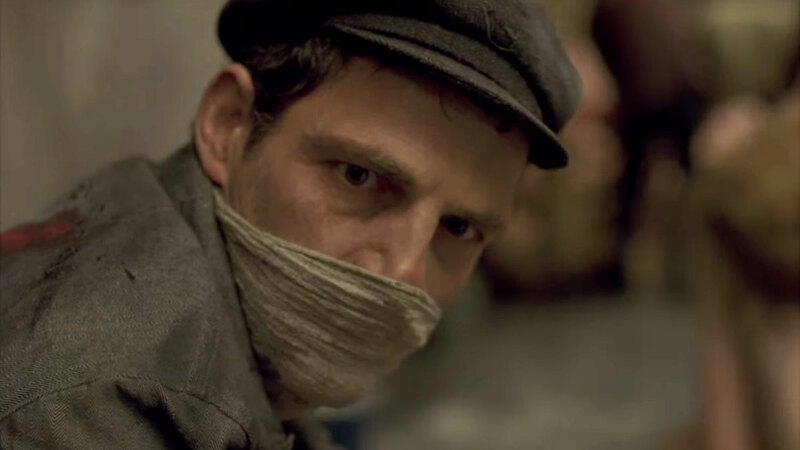 The Israeli film premiered as a special screening at Cannes and is handled globally by The Match Factory. The film is an existential comedy set on Mount Carmel, and is Elad Keidan’s debut feature film after his short film “Anthem,” winner of the Cinefondation Award in Cannes in 2008.